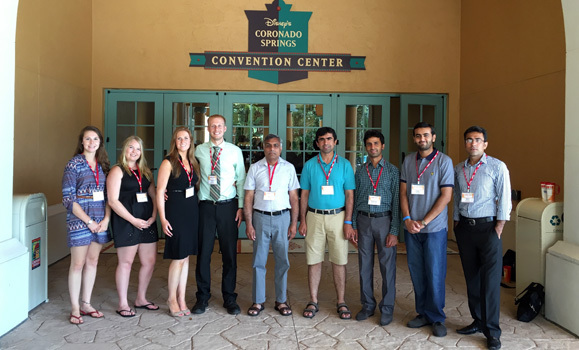 Precision Agriculture Research Team led by Dr. Zaman participated in Annual International Meeting of American Society of Agricultural and Biological Engineers. The meeting was held in Disney Resort, Orlando, Florida from July 17-20, 2016. 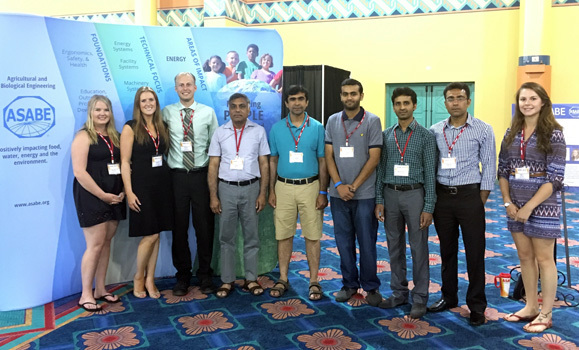 PA team members (Post-doctoral fellow, research associates, undergraduate and graduate students) made oral and poster presentations in different technical sessions of precision agriculture at the meeting. Students also participated in volunteer activities to organize different events during ASABE meeting. More than 2000 delegates from different countries participated in the conference. PA team also visited Precision Agriculture Labs and field experiments at Citrus Research and Education Research Centre (CREC) in Lake Alfred, University of Florida from July 21-23, 2016. PA team members shared the real-world issues related to precision agriculture in North America and their possible solutions with researchers and faculty at CREC. The PA researchers at CREC demonstrated innovative precision agriculture technologies for citrus production.